This Oppo phone will have dual selfie camera. Earlier this week, a report claimed that Oppo F3 and F3 Plus Selfie Expert branded smartphones are all set to be unveiled soon. These phones are likely to feature dual front cameras for the selfie buffs out there. 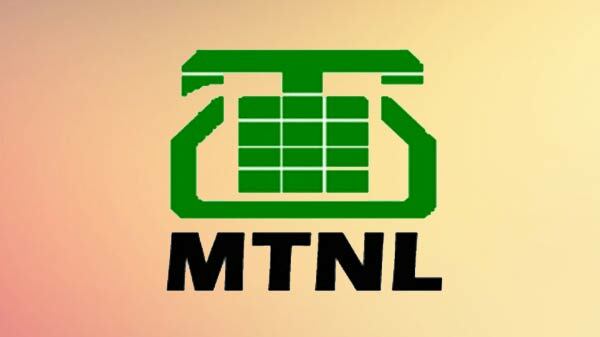 Now we have more details about these phones. It looks like Oppo will unveil the F3 and F3 Plus on March 23. 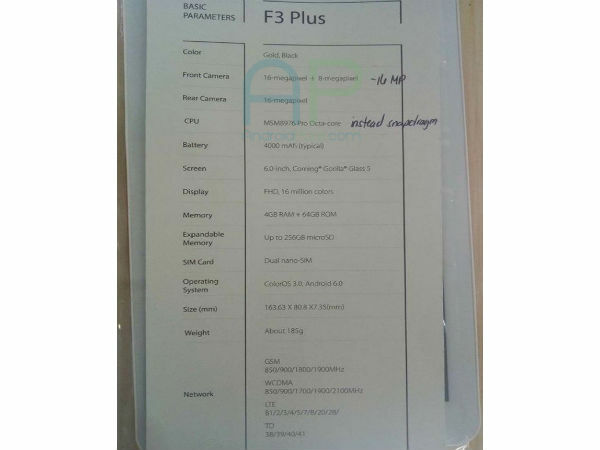 Besides the launch date, we have the complete specs of the F3 Plus, thanks to a leaked document. The document has revealed that the F3 Plus will be fitted with a 6-inch display with FHD 1080p resolution topped with Gorilla Glass 5. Under its hood, the Oppo phone is said to equip an octa-core Snapdragon 653 SoC paired with 4GB RAM and 64GB storage that can be expanded up to a whopping 256GB. The USP of the alleged Oppo F3 Plus would be its dual selfie camera features a 16MP+8MP front-facing snapper. The main camera is a 16MP one that rests at the back and there is no word on whether this phone will feature the newly launched 5X optical zoom camera tech. Booting Android 6.0 Marshmallow with Color OS 3.0, this smartphone is listed to have dual nano SIM cards supporting 4G LTE. The document further reveals that the F3 Plus might weigh in at 189 grams and get the power from a 4,000mAh battery with the company's VOOC rapid charging tech. If the Oppo F3 and F3 Plus make their way into the market, these will replace the F1s and F1s Plus those are the Selfie Expert phones those exist now. A banner spotted at a store in Philippines reads, "The New Era of Selfie Expert" with March 23 as the date. Now, this document adds that the phones will come in Gold and Black color variants.